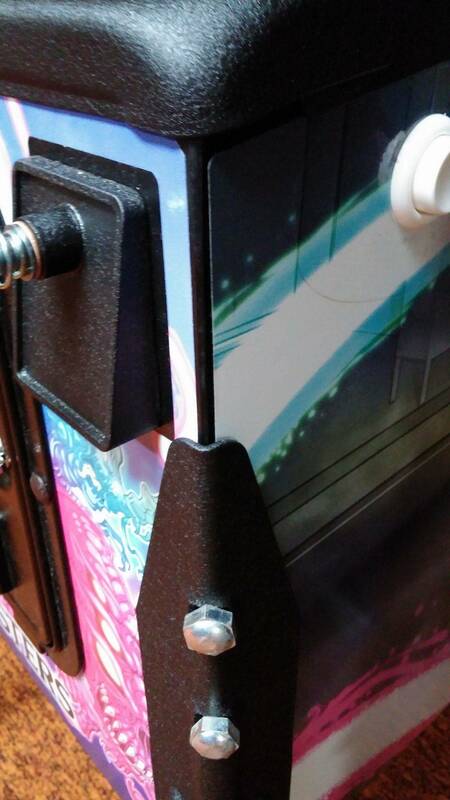 There are numerous posts about all of the playfields with insert issues coming out of Stern recently. I am curious how many folks have recent Stern games with NO issues? If you can, list the date on the playfield, and approximately how many games you have so far. I'm especially interested in the GB Pro and LE models....are they all affected? Or just some? My playfield date was July 7. About 160 games so far (3-ball), and no issues yet. I have 30+ sterns, no play field issues. Every gb(including the premium), and SMVE I have personally seen has ghosting. Every last one of them. You bought 30+ games in the last 8 mos? none of the late model sterns on location at my local bar - and all of them but WWE are there - have this issue. Shaker motor installed on factory setting. It really shakes!! 25 days of play. Just a couple hundred games. I did notice when I took the apron off to put some mylar in the shooterlane that the clearcoat was glued to the apron. After removing the apron you could clearly see and feel the edge of the apron in the clearcoat. Could it be as simple as inconsistent clear? Or too much hardener? Didnt know the GB Premium was even being made yet. I've yet to see a GB Pro ghost and we have sold probably 20 with not one complaint. Out of the 14 LE's we have sold only one of the group had minor ghosting so far. Half were early and the other half were the newer LE's supposedly with a better playfield. I have a Met Pro with a 3/31/16 stamp on the playfield, no ghosting. I would not hesitate to buy another NIB. Owners and potential buyers are deluding themselves if they think this remains an isolated problem affecting only a few machines. "It won't happen to me." Do people really believe the number of machines affected is less than 100? That is not how playfield production works EVER. Most of the first iteration sequence of LE/Premium playfields were cut, ink screened, insert bonded, prepped, and clear coated months ago. Generally done in batches of 500-1000. That means ALL these playfields will have some part of problem at one point of another in the future. They did not "switch clear coat", "have a different batch of inserts from China", or "bad wood" in the middle of the sequence production. Maybe for the entire production, but not individual playfields. All parts of playfield production are received before production commences to ensure they have sufficient quantities. That means if the same playfield production run is used for Premiums, the problem is going to return in a circle. The same damn playfield problem happened with MET Premium in APR 2015 from a single run batch of PFs! 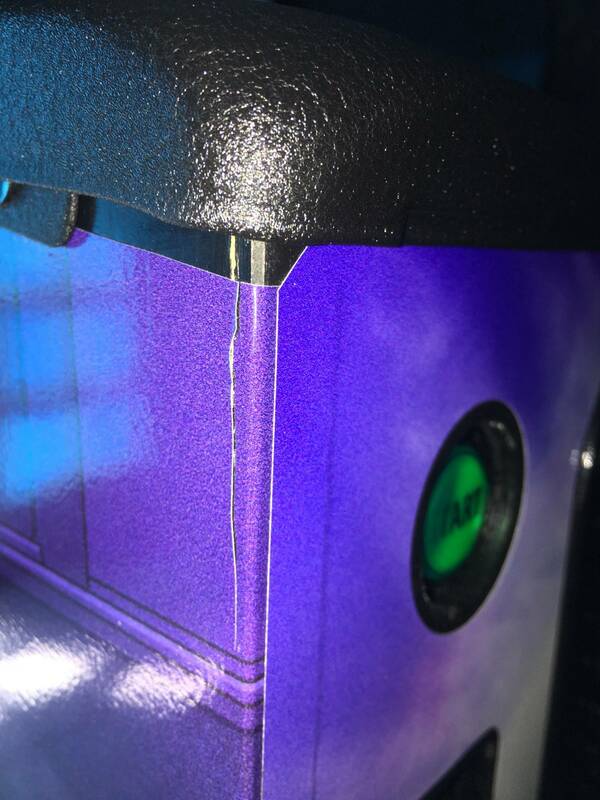 Playfield clear coat and ink screening problems, resulting in playfield artwork chipping. They were the same source layout for games, so the playfields were used. Look it up, read, educate, it happens. Sometimes things get $#@!ed up, and corrections are required. If you don't understand the process and really want to learn more, talk to CPR. They have been dealing with these complexities on a non-commercial level for reproduction PFs for going on two decades. That is why they have Gold, Silver, and Bronze standards! Send me a PM, I will provide contacts, and perhaps they will be willing to explain how this works in length, as I will not try to do it here after 3000 posts. Continued speculation and feeding paranoia. "Pull my finger" or let Stern sort it out, and as some said "buy later". If you gamble right now, you are going to lose. I don't know this person, but based on the posts I have read, he has obviously been around the business a long time, and he has an opinion that I respect. I am sure he is entirely correct in everything that he said here. However, he is not addressing the possibility that Stern stopped that run and requested replacement playfields for at least the GB games. We have no way of knowing for sure, but we all remember the long delay, and rumor had it they were getting new playfields shipped in. I have no idea if the date stamp really means anything, but the early shipped games had much earlier dates stamped on them. Given most of the early games all ghosted, I am betting he is correct that all of those early playfields will develop an issue. The jury is still out on the later runs. A few have seen problems, and some have not. Of course, if all of this is true, and I have no way of knowing if it is, there are a lot of playfields sitting at Stern that should not be used. MY hope is they aren't foolish enough to try and sneak them into a Premium....I doubt they are that dumb, but one never knows. I guess what I am saying is that I don't necessarily think ALL games so far are doomed. Maybe they are and I am completely wrong....if so, I am big enough to admit it. But for me to draw a definite conclusion, I would like to see more data. MY hope is they aren't foolish enough to try and sneak them into a Premium....I doubt they are that dumb, but one never knows. Me too. If bad reports get out on the Premiums should be enough to get most to cancel a lot of the existing preorders. We already know a lot of people here already canceled. Mine too. If bad reports get out on the Premiums should be enough to get most to cancel a lot of the existing preorders. We already know a lot of people here already canceled. Lol, this is the jaded cop in me, but what we know is a lot of people have said they cancelled. Who knows if they really did, or if they ever had orders to begin with. I am yet to notice any problems on any of the recent Sterns I have played. I looked at the GB pro on location near me today. No ghosting I could see. Game was on, glass installed so I can't guarantee none was present. It's been there for months. No idea how many plays on it. 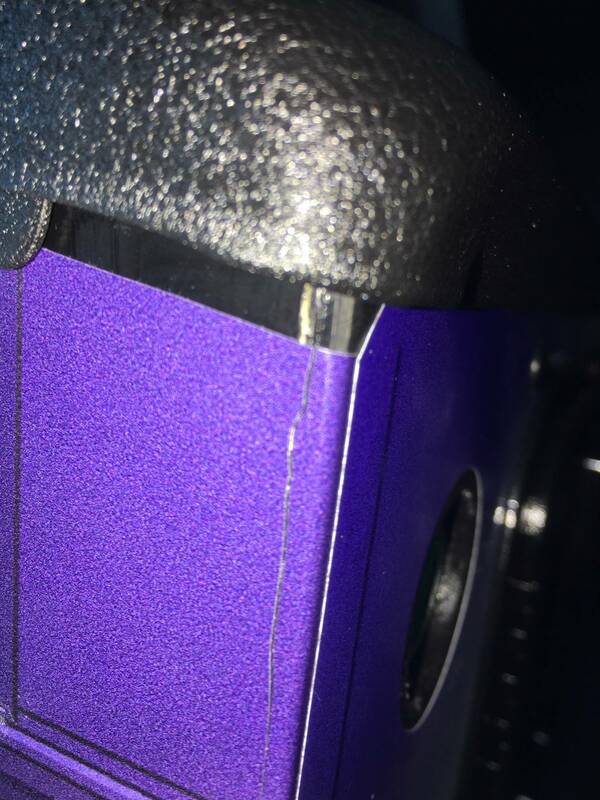 Opened a new Metallica Pro this past weekend and nothing appears to be bad yet. Playfield was made June 8th in the year of 2016AD. My ghostbuster pinball showed up to my house with a rip in the side art any one have this issue ? The funny part is it's where the front panel meets with the side panel is where it splits will stern and cover this ? I guess overlapping of the decals on the front corners is the new normal. I don't like the look. Is that a seam split in the wood above the decal? It's white not painted black. 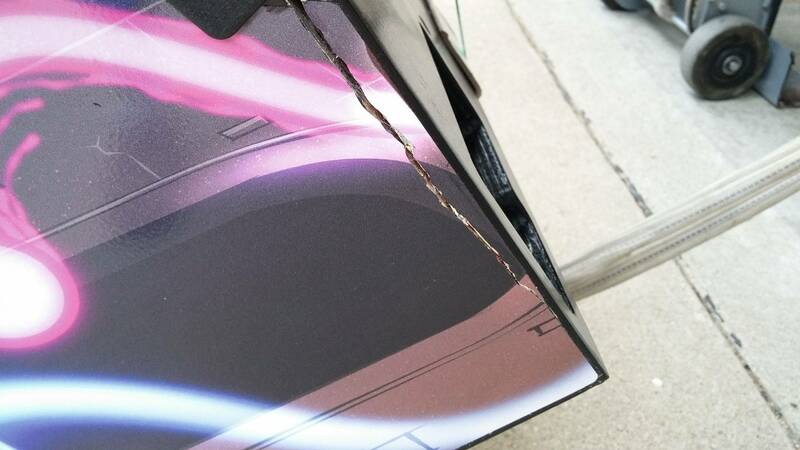 If it is split that would explain the decal crack. Take the lock bar off and post a top down close up picture of that seam. Apparently the rest on here without any issues are a bunch of liars then? I agree looks like the corner of the cabinet is separating. This for sure could cause the decal to rip. He has to FORE SURE call his distributer. He has a defective cab that will only get worse the more it's moved and played. Yep..... seems a little ironic that its following the seam. I would say that the cabinet is cracked. 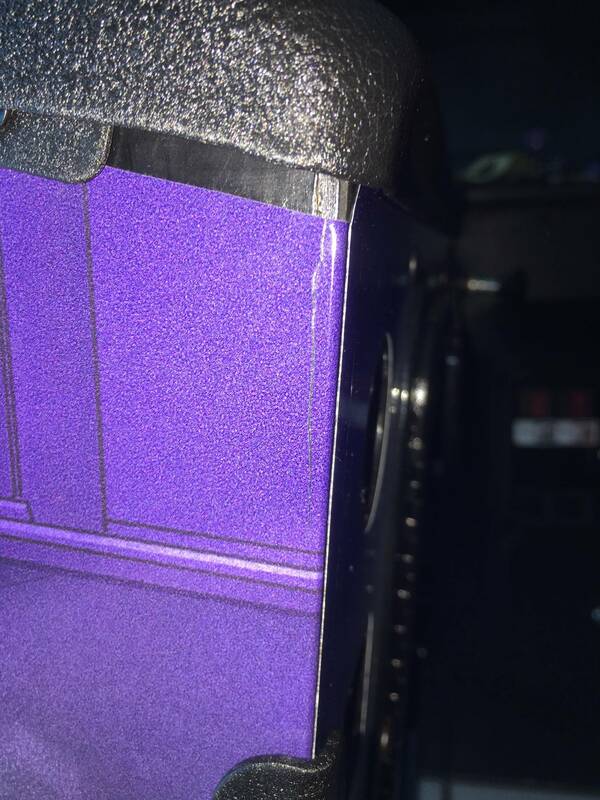 My first Pro was damaged in shipping and looked just like that. My back box was also damaged. I think they dropped or scissor lifted the game during shipping. This is what the decals look like on the replacement. Just thought I would toss that in to show no wrap around. The game was made mid August. Damn that's bad and I take it the outside of the box looked perfect too so there was no way of telling there was damage like that UNTILL you signed for it and opened the box. My GB pro arrived with an Aug build date. No playfield issues. 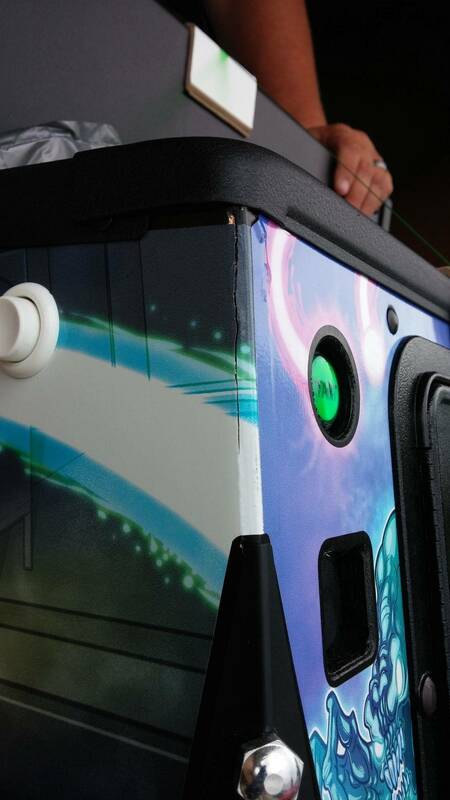 Hey so here's a up date on my GB pinball I called stern head quarters again last Friday, they said that they were going to take up my cabinet issue with there boss and will get back to me in Monday. 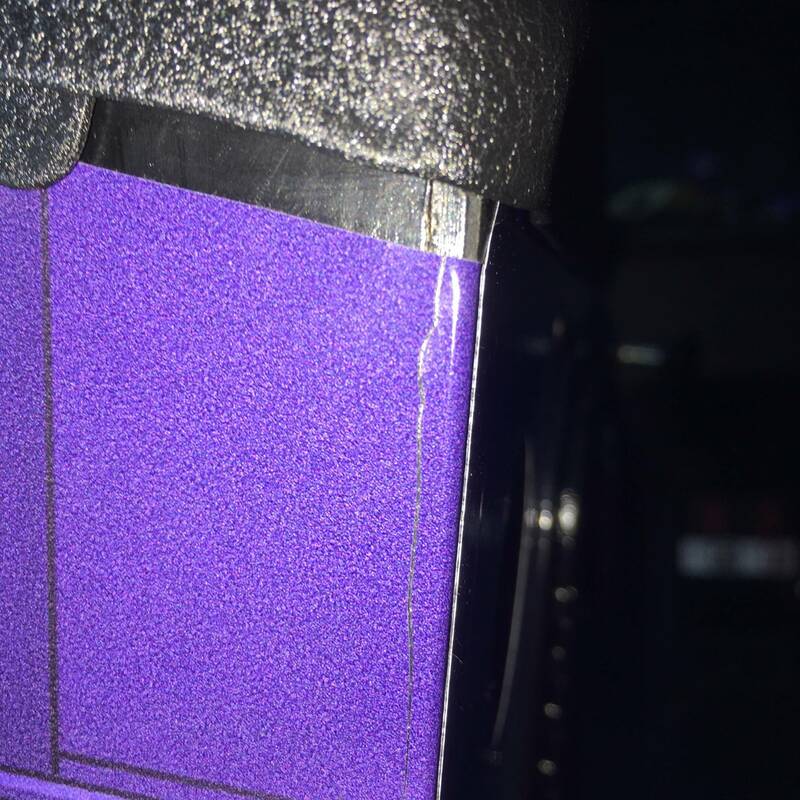 The representative at first thought it was just a side decal issue but as he looked at a second picture I sent he said "wow that there is a definite crack there" so I'm hoping I can't get this issue fixed quickly I don't want to hold on to a defective cabinet to long were it can cause any further problems with the exchange process. 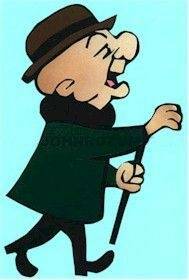 I'll keep you updated as soon i hear from stern. New game is called for, don't settle for anything less. so just noticed a sliver of ghosting on storage facility... this comes after 1500+ plays and got it in July. I'm hoping that this means its unlikely to get much worse. It is getting cooler around here and its in an unheated basement, so possibly just some "normal" wood movement. This was produced July 7, playfield stamped May 19. There were a couple others with the same date as me, anyone care to chime in they are holding up? My MET has ghosting on 3 inserts. Mine was stamped with June 17th 2016. I just ordered a GB Premium. Can someone post some pictures of what I should look for pertaining to "ghosting". Thanks. Gb premium maybe aug. no isuues !